The Rope Narrow Module of the sofa has an extra long seating and lying surface and belongs to the Rope Sofa Series by Hans Toft Hornemann for Normann Copenhagen. 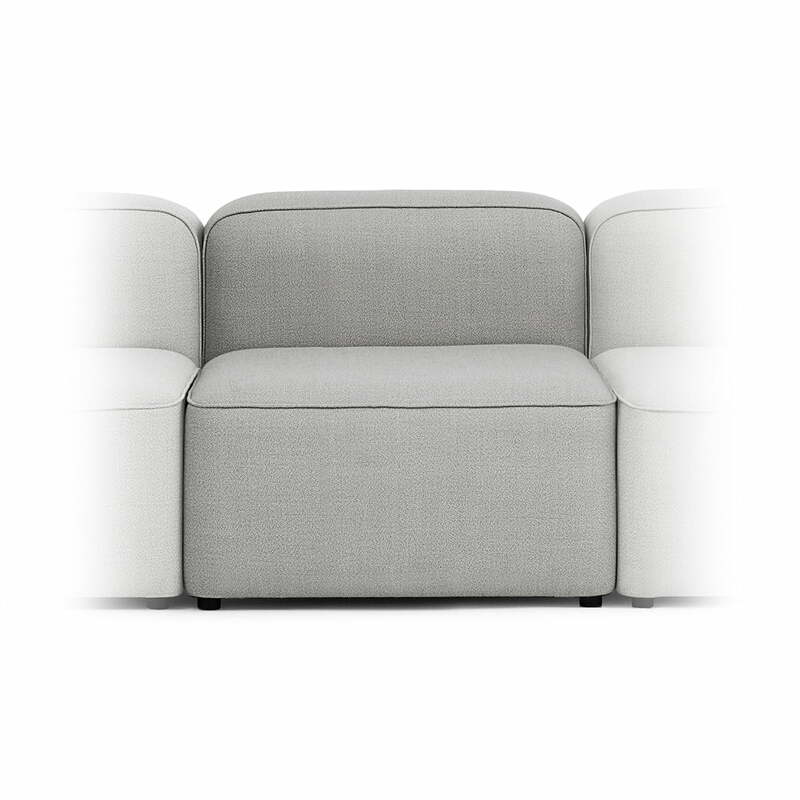 The module is available without armrests, with a left armrest or with a right armrest. 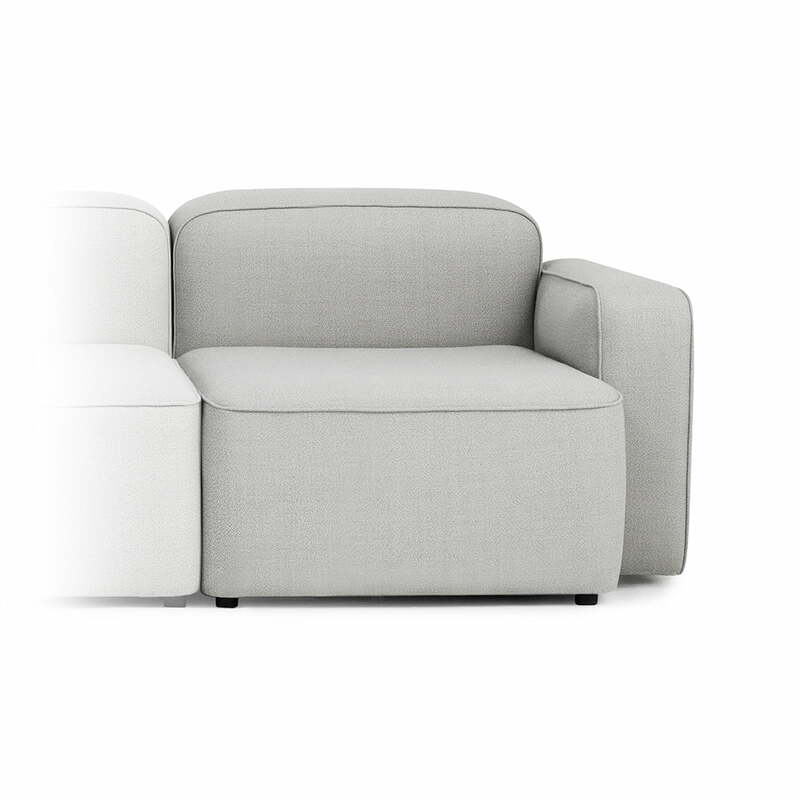 The smallest Narrow Sofa consists of a module with a left armrest and a module with a right armrest. However, it can also be extended thanks to the centre module without armrests. An open version of the sofa without armrests is also possible. The modules are reduced to the essentials with the only visible detail being the refined pipping that gives the curvy sofa a touch of elegance. The sofa seat extends to the floor and the module is supported by small black wooden legs that offers a sense of lightness to the robust body. We are at your disposal for the individual composition of your Rope sofa. In addition to various modules, other fabrics (including leather) and colours are also available. 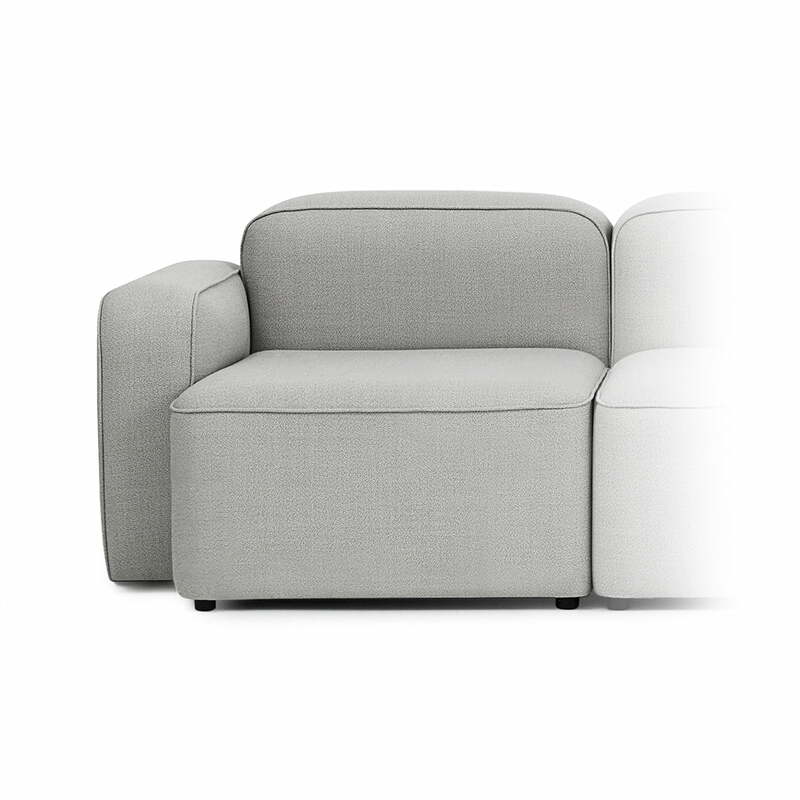 Isolated product image of the Rope Sofa Narrow Module 100 Narrow, left armrest by Hans Toft Horneman for Normann Copenhagen in light grey (Fame Hybrid 1101). Isolated product image of the Rope Sofa Narrow Module 120 Narrow, right armrest by Hans Toft Horneman for Normann Copenhagen in light grey (Fame Hybrid 1101). Isolated product image of the Rope Sofa Narrow, Module 110 Narrow, centre by Hans Toft Horneman for Normann Copenhagen in light grey (Fame Hybrid 1101).